Last night was an extremely interesting night, for many reasons. The first of which is that it was my first night raiding Highmaul in any capacity. The Argent Dawn server was completely unstable for various reasons, primarily because the Chicago data center itself seemed to be unstable. Then last Thursday I had plans which kept me away from the raid where they downed Kargath and Butcher for the first time. Last night I had every intent of trying out my Gladiator dps chops, and had been researching the fights as a dps. Then something happened… our main tank got stuck at work and was not going to be there at all. While I was not even aware that technically I was part of the tanking team, I got drafted to tank the instance I would assume because of my years of experience. While I didn’t know all of the fights, I did rely heavily on over a decade of experience and we seemed to do fine. Thankfully I also had a really seasoned co-tank to work with, that while he too was not exactly solid on some of the mechanics… was more than willing to try anything I suggested. As the night went on it started to feel more and more natural, with me pivoting into the lead role. I really hope that I did not absolutely steamroll the tank, but I figured he was used to playing the second tank role in his previous configuration, so it might be less stressful for him to stay in that role. Whatever the case it seemed to work really well, and I am happy to say that we stormed in and one shot both Kargath and the Butcher extremely quickly. I had hoped to get more loot out of the dungeon to help augment my gear, but alas I spent three roll tokens and only walked out with twi pieces of gear. We spent most of the night last night working on Brackenspore, an encounter that feels both familiar and strange at the same time. It very much feels like the “this is the end of the easy bosses” encounter that has so many moving parts. Quite honestly we don’t quite have a lot of mechanics down pat, but hopefully having seen the fight we can do some research before Thursday. The biggest problem as a tank is we never quite found the sweet spot to do the tank transition. The boss does some really horrible mechanics, firstly there is a stacking nature dot on the active tank called Rot. Ideally the tank should not have more than four stacks of this at any time. However there is another horrible mechanic called Necrotic Breath that is a frontal cone and causes anyone in said cone to take 22k damage and have a debuff that reduces healing by 99%. To make things more frustrating there is an add, with a lot of health… that is essentially a second boss. It casts an ability called Decay periodically which needs to be interrupted or else it deals 80k nature damage to the entire raid. If all of this were not enough… there is a mechanic on the fight called Creeping Moss that is essentially a fungal creep that if unchecked will cover the entire room. Anything standing in the creep increases their damage dealt by 50% and causes them to regenerate 2% health every 2 seconds. As such the mobs need to be pulled out of this at all costs, and you end up having to devote to dps to run about the room with a flame thrower destroying the creep to keep it at bay. To make matters even worse… there are good and bad mushrooms that spawn around the room. You have to move the boss away from the bad mushrooms, but attempt to position them close to the good ones… which are then used to counteract Infesting Spores that stacks nature damage on the raid. We are still very much getting the swing of the fight, and figuring out all of the levers to flip and widgets to prod. I think on our best attempt we got him down to 70%, but hopefully a lot of research AFTER having made an attempt will cement the mechanics in our heads. After doing some attempts on Brackenspore, the raid leader decided we needed to swap up for a bit and try something else. As a result we rolled over to Tectus that apparently the group had made attempts on last Thursday. This is one of those infamous Blizzard dps check fights, with a relatively short enrage timer and several “get out of the stupid” mechanics causing the raid to move around while pushing dps as hard as possible on the boss. I did not actually get a picture of the boss itself, because it went pretty quickly. The trash directly before the boss is in essense “the boss”. You have these three small rock elementals… and by small I mean five times as large as a player model that you have to burn through… from their rubble arises Tectus the actual boss. While fighting Tectus you are constantly having to move out of these swirling patches on the ground that ultimately spawn spires of earth that knock the players back and deal damage to them. Additionally there are patches of fire that appear that you need to move out of, so lots of stuff going on… that needs to be avoided. This goes into overdrive because when you dps down the biggest version of Tectus, two medium sized versions spawn at the same time. One tank takes one, the other tank takes and holds the other. When the party dpses down a medium mob, four small mobs spawn. In theory the offtank takes medium tectus and one small tectus… whereas the other tank takes three small ones. This becomes extremely hectic because they are super hard to target at this point. In theory the dps burns down all of the little spawns… and then breaks the other medium causing four more smalls to spawn. The roughest phase is when we have five mob up, four smalls and one medium. During this phase each of the mobs spawns circles on the ground, making it sheer madness to try and find safe places to stand. Once you burn through the smalls things calm down for a few until we get another batch of smalls. 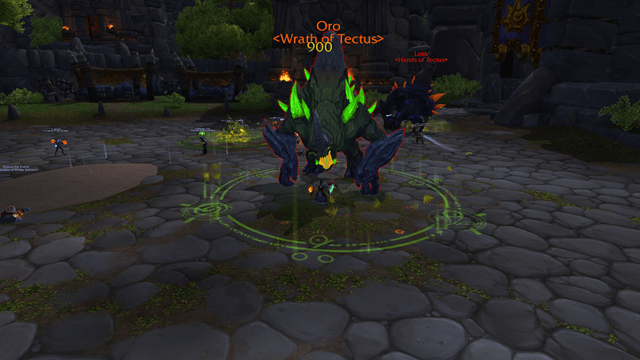 This is out and out a dps race, and we downed the boss last night with I think 15 seconds left to spare. While I am actively raiding in FFXIV, there is just something more hectic about World of Warcraft raiding. I think that technically speaking Final Fantasy XIV is probably more challenging, but the sedate pace caused by the longer global cooldown… makes it feel more sane and rational. 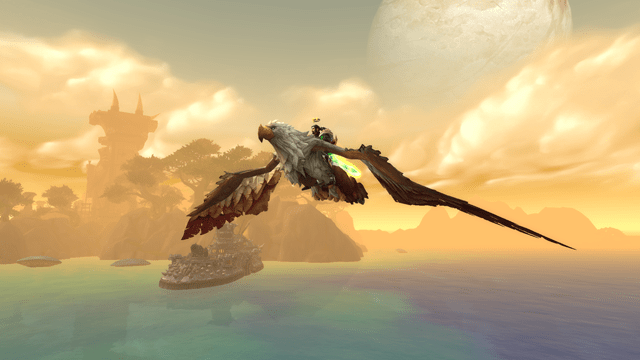 World of Warcraft on the other hand is a pure adrenaline rush when it goes well, and there are few things more exciting than getting a new boss down. Granted I did not quite have the same payoff as my other raiders, because that was my first night there. I am however pretty damned proud that I picked up tanking on a character I have not tanked on since downing the Lich King… and was not a liability. I guess playing a class is something you never quite forget, regardless of how many changes have been made. I did manage to pick up a few really nice upgrades as a result of my three roll tokens spent. I swear that the game is conspiring against me actually ever wearing my engineering goggles, because the molten core helm was technically better… and then this helm dropped last night which is even better than the first goggle upgrade. On Butcher he dropped a really nice pair of gauntlets for me that replaced my warforged heroics rather nicely. This combined with the chestpiece I crafted for myself has taken me to ilevel 637 which is not too shabby overall. 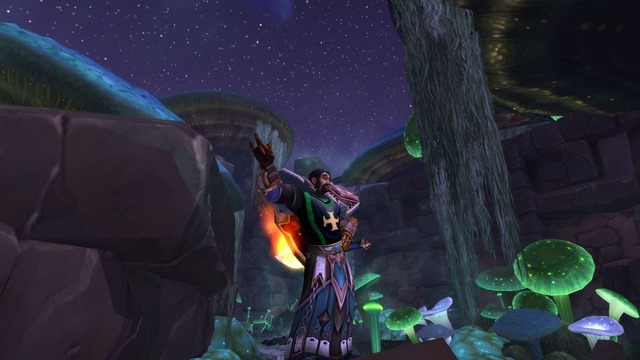 Tonight we are going into LFR as a guild, and hopefully I can pick up another item or two there as well. I am not going to waste any coins as I would rather prefer to save those for normal or heroic mode gear. Supposedly at the beginning of Thursday night we are going to give Heroic Kargath a shot, which should be really damned fun. I was surprised to find out that each mode has its own unique lockout, so hopefully we can start doing on heroic the mobs we have on farm on normal. Was a great night, and happy to be back raiding.